I wasn't a big fan of the metal minis in 1st edition. I didn't really care for Sonnia and Samael as they seemed somehow flat. Witchling stalkers have always been among my favorites and a while ago I painted the three of them up just for fun. With the release of The Torch and the Blade, I knew I was going to buy the box as I thought all the minis from the set looked great. 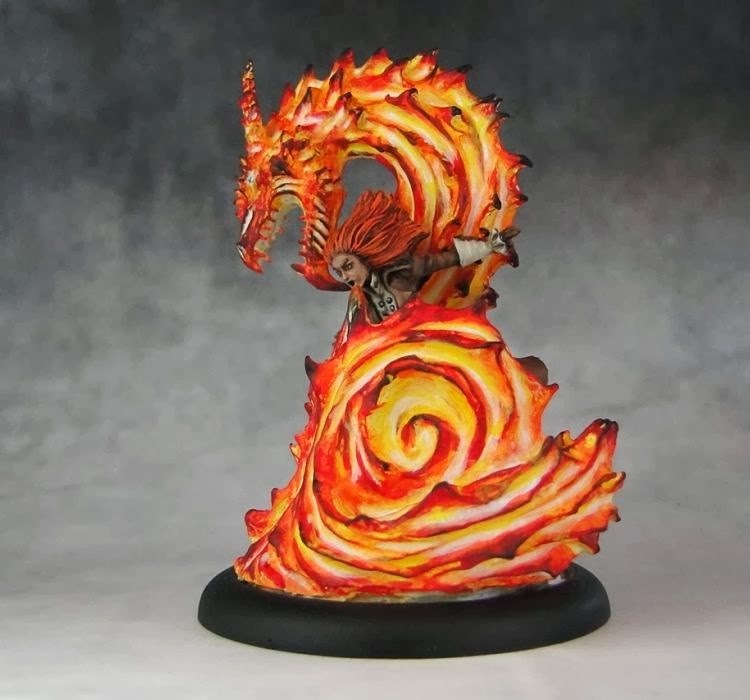 The first one I focused on was Sonnia's totem - the Purifying Flame. 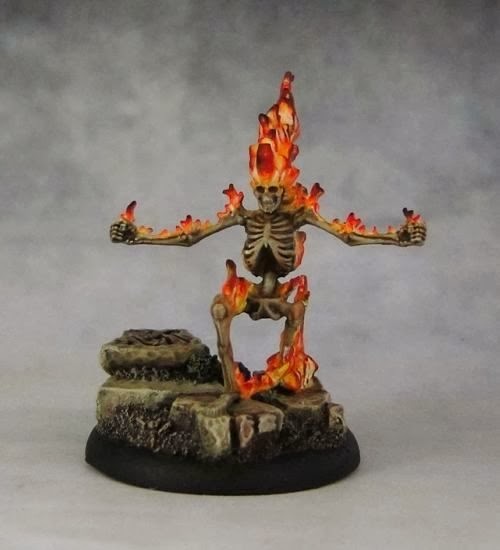 It's a quick paint job on the skeleton and then some fun with the flames. 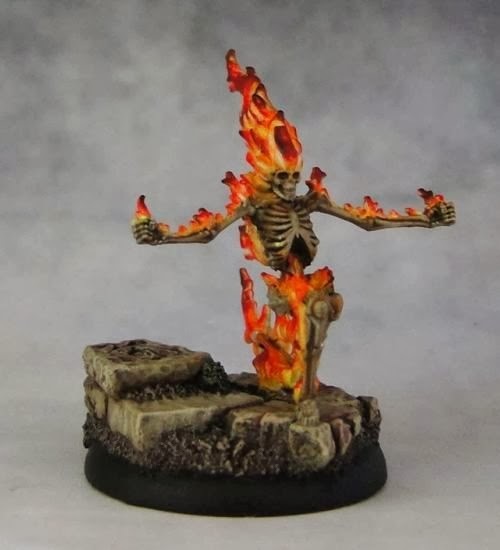 I didn't play around with OSL but I'll get o that later on in this entry. Next up is the new Sonnia, now sporting an elegant metal mask. 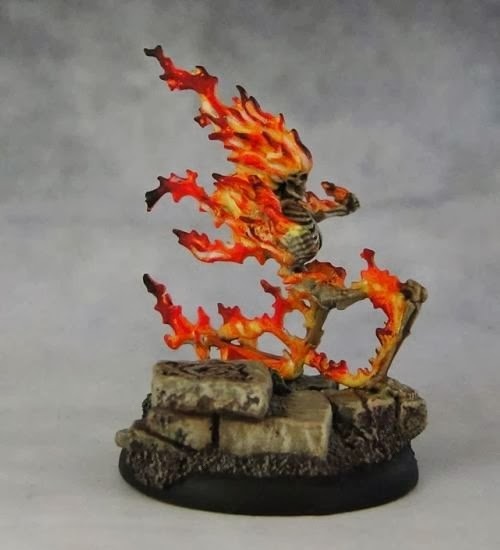 It's going to be interesting to finally find out how Perdita came into possession of this item and how it actually helped them in the fight against Cherufe. 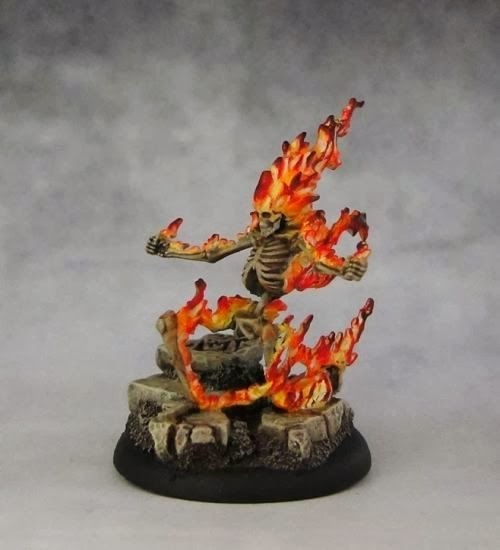 This miniature was fun to paint with lots of details. 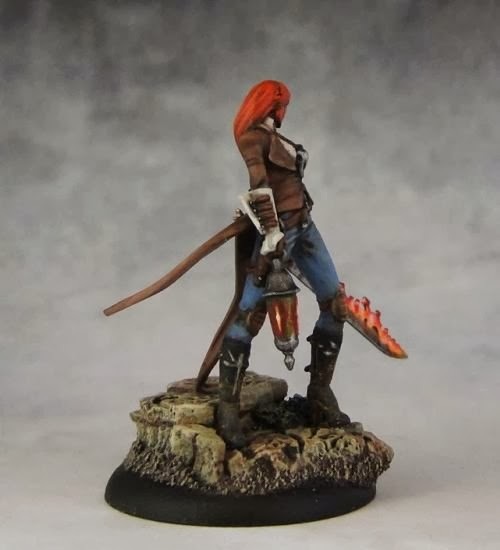 It seems to me that Wyrd has improved the quality of their plastic minis a lot during the last two years. Even though her pose is static, her jacket has pieces moving in the wing and there's a lot of other small bits (mask, lantern, blade) that more than make up for the static pose. 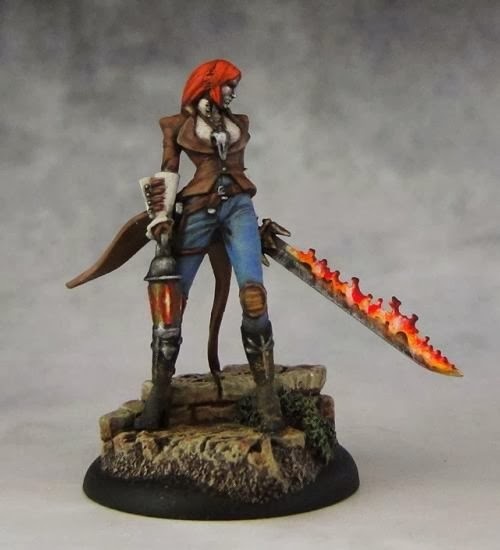 Compared to minis like Jakob Lynch (who's just standing there and lacks detail) or Mr Tannen (I felt the mini itself was nothing spectacular so I added some variety to the base), she's definitely a step up. 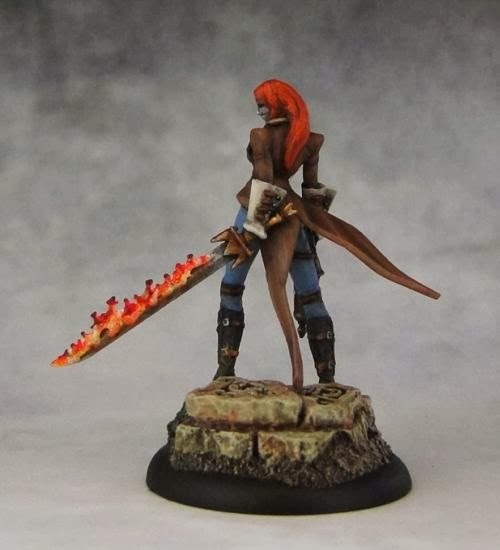 Last but definitely not least - the avatar version of Sonnia. 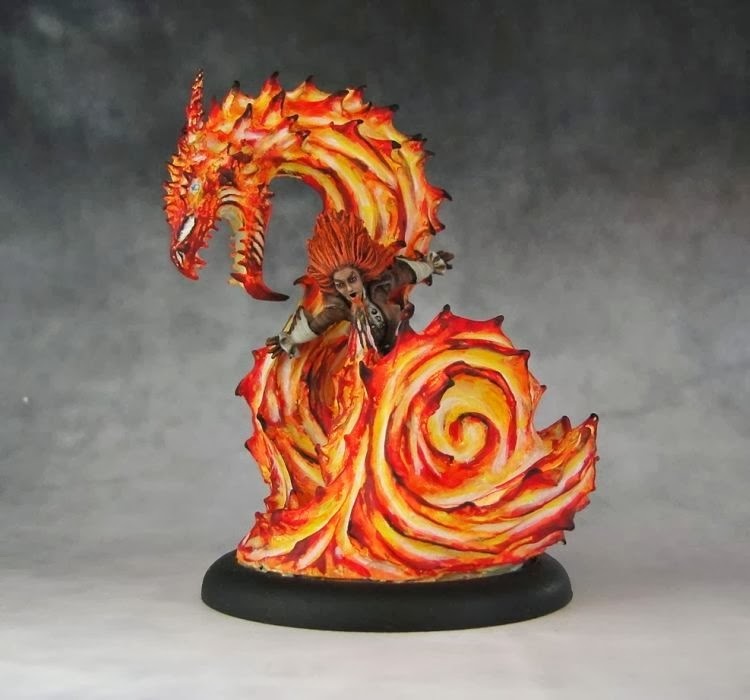 This is one of the most impressive models I've ever painted and it's also one that I cursed along the way. 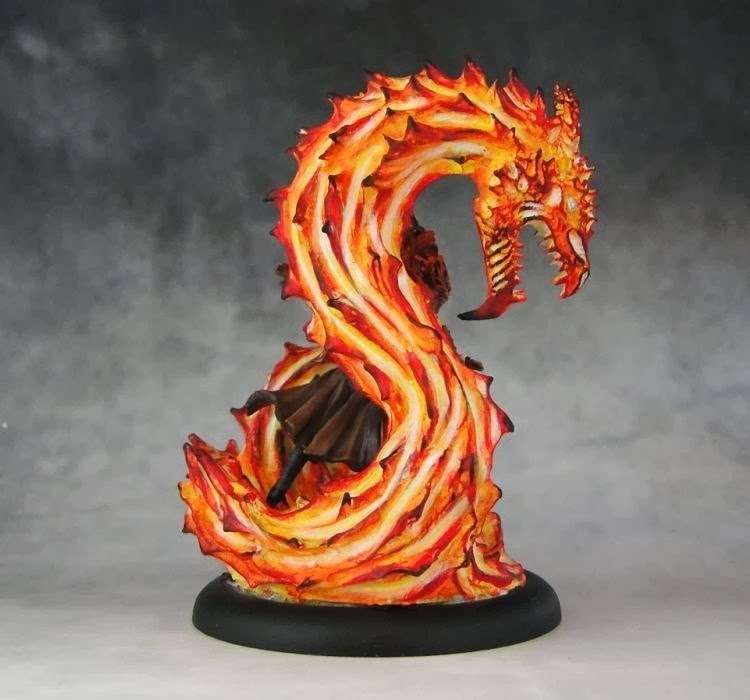 First off, the dragon part is cast in three different types of material. That alone is not a problem as super glue fixes resin to metal solidly. The problem is that these parts don't fit too well and there was a lot of GS applied to fill in the recesses as you can see here. 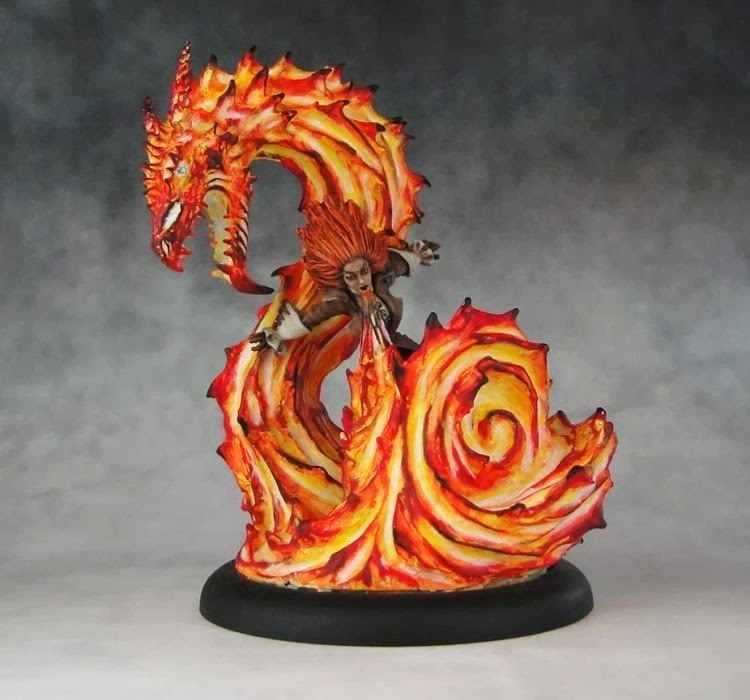 The second challenge was that I had to paint Sonnia and Dragon separately. Not that much of a hassle but still an inconvenience. 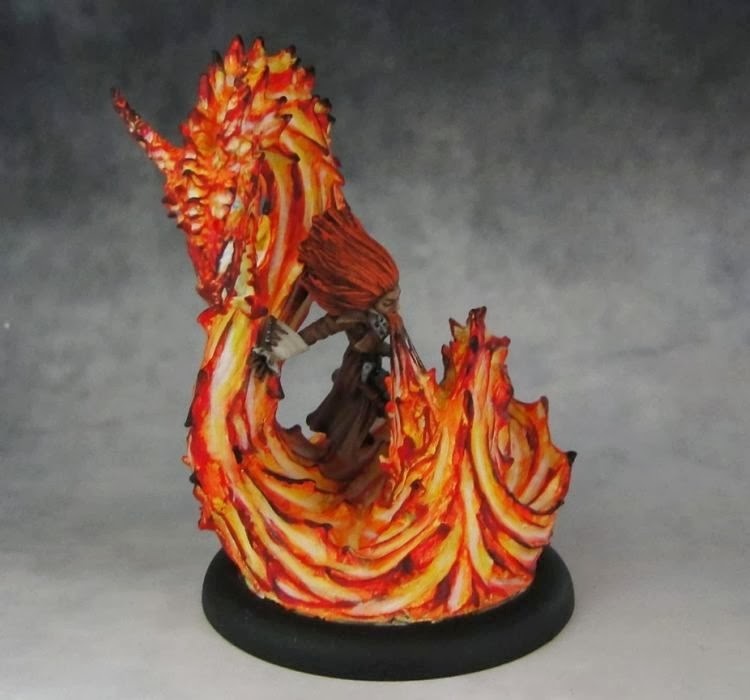 And finally - painting the flames on the dragon. That proved much more challenging than I had originally expected. 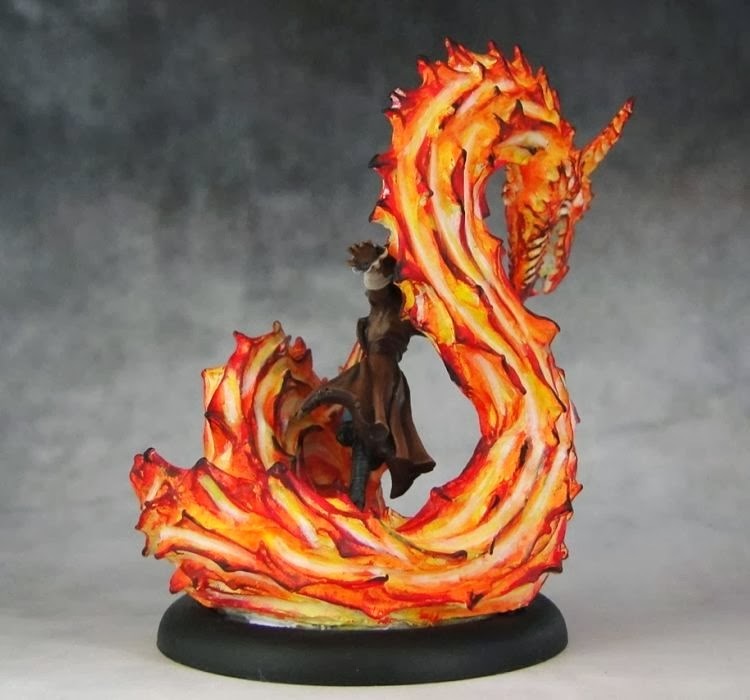 I started with a solid white basecoat and worked the colors up by adding yellow to white for initial highlights, moving on to pure yellow and then working my way up with gradually darker colors (orange, red and finally black). In the end it looked way too messy so I started working with yellow and orange glazes. That caused the white to disappear so I had to work on the recesses again by highlighting them using orange, yellow and white, mixing them with each other for successive highlights. The serpent-like shape of the dragon didn't make the task any easier and accessing some areas was really hard. I actually had to hold the model upside to get to some places. Having repainted these areas I noticed that the dark edges lost the solid look I had initially so I had to carefully pick them up again. Long story short - I was going back and forth with highlights/washes/shades until I decided I was reasonably satisfied with the final effect. Now before I finish, a word on the OSL effect. I avoided it for two simple reasons - one practical (it's really challenging and getting it right is never easy for me) and one connected with the fluff. It just seems to me that Sonnia's fire is somehow magical so if she actually reacted to heat she'd burn up entirely within seconds. So I like to think that the flames are somehow magical anc can affect only her enemies. Besides, if I wanted to paint OSL on the model itself, it would have to be... pretty much all over the mini. 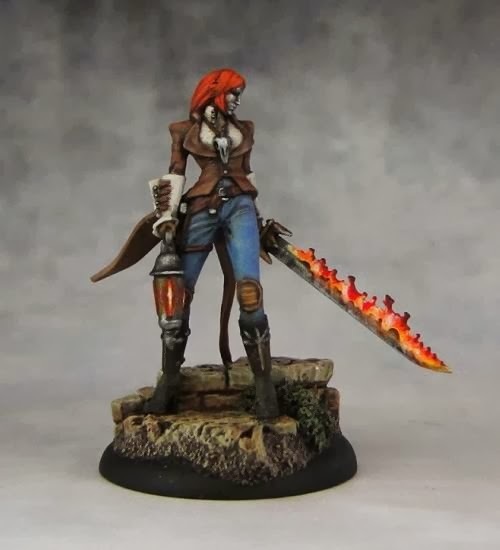 Next up is my favorite from M2E wave 1 miniatures - Mr Samael Hopkins.